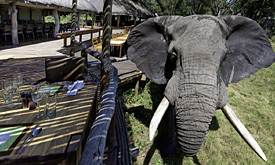 Start Livingstone END Maun Airport OR Vice Versa. 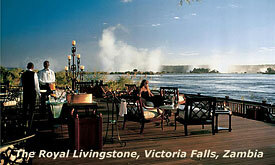 You are met at Livingstone airport and transferred to the Royal Livingston Hotel, for 2 nights, bed & breakfast basis. 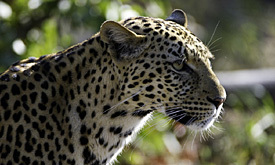 After breakfast, transfer to Livingston Airport for your charter flight to Kings Pool Camp, with a short stop at Kasane to clear Customs and border post formalities. 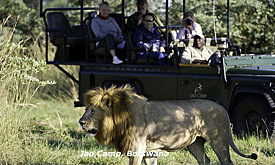 Spend 3 nights at Kings Pool, full board basis, and including scheduled safari activities, local brand drinks. beverages. 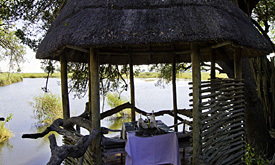 After your morning activity and breakfast you will be transferred by light aircraft to Maun Airport where our services end.